Cuba Gooding Jr. is one of the highest paid stars in Hollywood and has earned up to $2 million as salary from his acting roles. He emerged into the limelight in the 1990s, achieving critical success with roles in movies like Boyz n the Hood, A Few Good Men, and Jerry Maguire. The prolific star has stayed busy ever since, maintaining his relevance in the circle with numerous appearances in blockbusters. Cuba Gooding Jr. comes from a family of four and his siblings include April, Thomas, and Omar. The actor grew up with his mother Shirley Gooding as a result of the death of his father Cuba Gooding Sr. at his early age. His mother is a singer with ‘Sweethearts’ while his father was prominent for being the lead vocalist of the ‘funk band,’ The Main Ingredient. The band became widely famous in 1972 after the release of Everybody Plays the Fool around the time the family relocated to Los Angeles. There is no disputing that Oscar winner Cuba Gooding comes from a family of entertainers. Apart from being the son of singers, and entertainers, one of his siblings named Omar Gooding is also a great actor. He has been busy in the acting scene for over 25 years now having started out at age 10. He got a spot in the acting scene after he was discovered by Cuba Gooding Jr.’s agent when he was sent to get a script for him. He is best known for TV shows like Wild & Crazy Kids (1990), Sweetpea, and Hanging With Mr. Cooper. Omar also appeared in the WB network series Smart Guy released in 1997 and in a motion picture Baby Boy (2001). Currently, he is enjoying himself on Bounce TV series Family Time which debuted in 2012 and is now on its sixth season. In addition, the actor has proven that he can handle various projects; producing and writing on the famous TV series. Beyond acting, Omar takes after his late father in music. He raps and goes by the name Big O. The father of one and a divorcee has a record label in Los Angeles, Califonia. So far, he has one album to his name. Cuba Gooding Jr. whose given name is Cuba Michael Gooding Jr. was born on January 2, 1968, in New York City. He spent his early childhood in New York and later moved to Los Angeles in 1972 with his family. There he attended four high schools and was the class president in three of them. He first started out in North Hollywood High School and left without completing his studies. He continued in Tustin High School and dropped halfway again following the death of his father. While still trying to make sense of the tragic experience, he furthered in Apple Valley High School and finally graduated from John F. Kennedy High School in Los Angeles. Subsequently, he started his career as an entertainer, performing a range of dancing styles including breakdancing. After he left high school, Cuba Gooding Jr. combined a Japanese martial art class and his musical performances. His stay at the combat school lasted for three years and his interest immediately shifted to acting due to the success of the commercials. 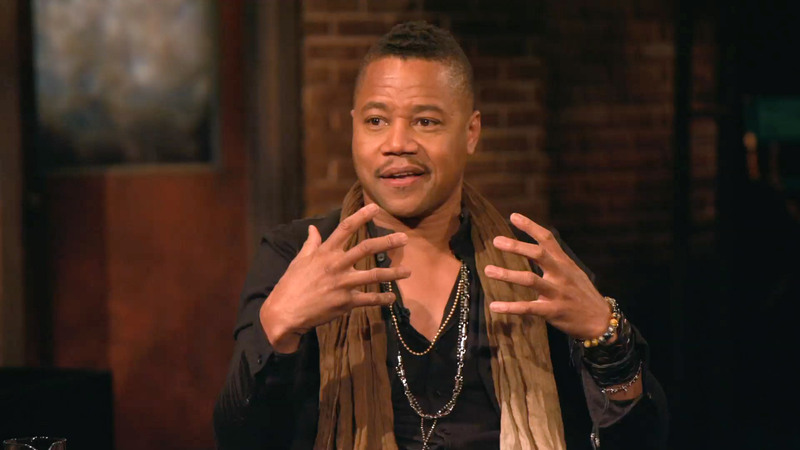 Cuba Gooding Jr. recorded his big screen introduction in the 80’s, showing up as a guest-star in shows such as Hill Street Blues and MacGyver. The roles made him become a little grounded in the fundamentals of acting and soon after, Cuba made waves with his major role in the 1991 box office-shattering movie Boyz n the Hood. Following the breakthrough of the film, he appeared in more blockbusters such as A Few Good Men (1992), Lightning Jack shot in 1994 and Outbreak in 1995. Amid the early-90s, Cuba continued to excel with roles in different genres including comedy dramas. By mid-90s, he was honored with an Oscar for Best Supporting Actor for his role in sports comedy Jerry Maguire released in 1996. In the films which he co-starred with Tom Cruise, Cuba stole the show with the catchline “show me the money” and it soon became a nationwide slogan. Another talking point generated by the African-American star was his great comic display in the popular film. The success was so significant and the actor ensured none of it went down the drains. He continued to take steps in the right direction, taking up a supporting role in critically acclaimed As Good as It Gets. The role also earned him an Academy Award the following year. He also appeared in movies like What Dreams May Come, Pearl Harbour and Men of Honour in the lates 90’s and early 2000’s. Cuba also played in the musical dramedy Fighting Temptations which also featured Beyonce Knowles. The actor was also cast in the ensemble comedy film directed by Jerry Zucker Rat Race. But sometimes, not all efforts result in success and Gooding Jr could tell this first hand. The actor’s career suddenly started to deteriorate dramatically and he probably felt engagement in different projects could balance things. He continued to take up major roles with appearances in some comedy films like Home On the Range (2004), Chill Factor, Boat Trip, and Daddy Day Camp. However, the films all got bad reviews and almost ruined his decade-long success. In spite of this, he further grabbed lead roles in Shadowboxer, Norbit, and Snow Dogs. Fortunately, all three of them scored some amazing success but were nothing compared to his initial breakthrough. It makes sense not to give up and Gooding Jr. wasn’t going to have it that way. Even amid the bad reviews, he became committed to his work. He got involved in different productions from film and stage to television roles. Good enough, he has now won back his spot to a very great extent with appearances in well-praised films such as Butler and Selma released in 2013 and 2014 respectively. More films that have played a role in the incredible restoration of his career include; Gifted Hands: The Ben Carson Story and American Gangster, American Crime Story: The People v. O.J Simpson for which he earned a Primetime Emmy Award nomination for Outstanding Lead Actor in a Miniseries or a Movie. The nomination sparked off controversies with many criticising his portrayal of the role. Outside film appearances, Cuba Gooding Jr. has also appeared in some TV shows such as Channel 4’s Chris Moyles Quiz Night and in Hollywood Walk Of Fame. He was also featured in an online video game that highlights juvenile asthma management known as The Quest For The Code. He had a pleasant time as a guest star announcer on the 100th episode of ITV’s Ant and Dec’s Saturday Night Takeaway, amongst others. Gooding Jr. has two adult sons (Mason and Spencer). He also has a soon-to-become teenage daughter, Piper Gooding – making it three children in all. The top-notch actor used to be married to the mother of the children Sara Kapfer. The two started dating while in high school and cohabited for seven years before their marriage in March 1994. However, they split in 2014 and the actor immediately filed for a divorce. He also asked for joint custody of their young daughter, Piper. In spite of their legal separation, the ex-lovers have continued to date on and off. Gooding Jr’s net worth is running in many millions for playing in some of the highest-rated movies of all time. With his net worth estimated at $24 million, he has earned more money than some Hollywood stars. The actor lives a luxury lifestyle and one time listed his house based in Pacific Palisades, Los Angeles for close to $ 10 million. 1. Even people who think they know Gooding Jr will be shocked to know that he is a born-again Christian. Yes, the actor became a new birth in Christ at the early age of 13 and has maintained that even till now. 2. Cuba Gooding Jr also tried out breakdancing at the early stage of his career, performing with Lionel Richie at the closing ceremonies of 1984 Summer Olympics held in Los Angeles. Read also: Gary Dourdan Daughter, Wife, Net Worth, Age, Where Is He Today, Is He Dead? 3. He recently changed his relationship status on Facebook to “complicated” following the official separation from his estranged wife. 4. It is known that the TV personality and actor Jr. is handsome. He stands at a height of 5’10” and weighs 76kg ( which is about 167lbs). 5. It is also well known that Cuba Gooding Jr. is lively and has an infectious laugh which his performances always mirror. 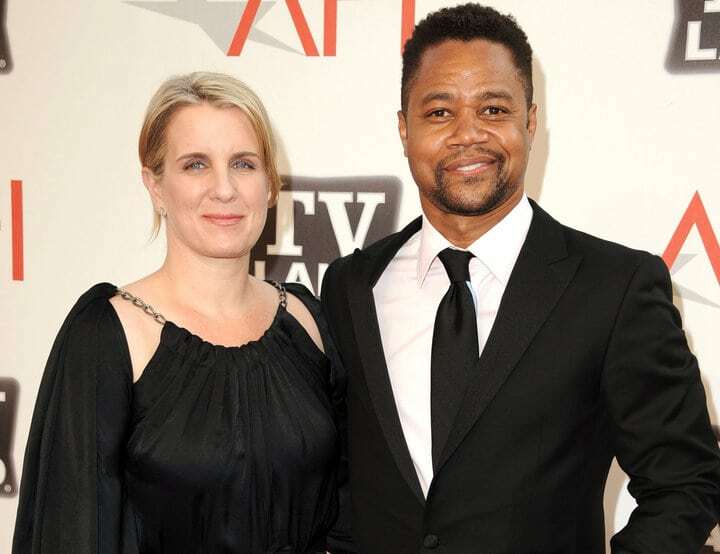 Cuba Gooding Jr. r has grabbed many awards throughout his acting career and is arguably one of the actors with the highest number of awards to his credit. In total, he has won up to 8 reputable awards including, Screen Actors Guild Award for Outstanding Performance by a Male Actor in a Supporting Role (Jerry Maguire), NAACP Image Award for Outstanding Actor in a Motion Picture (Radio), NAACP Image Award for Outstanding Actor in a Television Movie, and Mini-Series or Dramatic Special (Firelight, Gifted Hands: The Ben Carson Story).